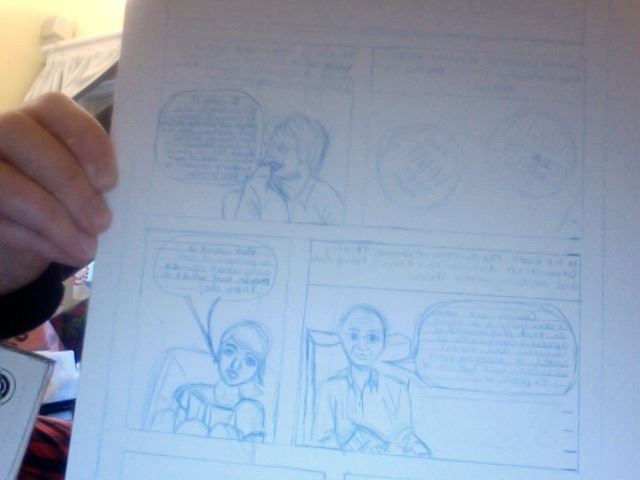 This is page one, and I have 24 more to go. I have it set so that I will be doing five pages a week (I had set to have five pages done tomorrow, that is going to have to wait). For each page, I draw first in blue pencil, then I ink, and lastly scan/edit/format in photoshop. It’s exciting to see this project finally start to come to life. It does mean some sacrifice to my social life, but what will come is a comic zine in May for your reading/viewing pleasure.